The New York based Human Rights Watch (HRW) has alleged that Israeli military authorities are blocking access to and from the Gaza Strip for human rights workers, who document abuses and advocate to end them. The travel restrictions call into question the Israeli military authorities' claim to rely on human rights organizations as an important source of information for their criminal investigations into potential serious crimes committed during the 2014 Gaza war. In a report titled "Unwilling or Unable: Israeli Restrictions on Travel to and from Gaza for Human Rights Workers" released yesterday, the organisation documents how Israel systematically bars human rights workers from traveling into and out of Gaza, even where the Israeli security services make no security claims against them as individuals. The report adds that Egypt is also imposing severe travel restrictions on its border with Gaza and calls upon the International Criminal Court (ICC) prosecutor's office to take note of the situation in the context of its ongoing preliminary examination of the Palestine situation. "Impeding the work of human rights groups raises questions not just about the willingness of Israel's military authorities to conduct genuine investigations, but also their ability to do so," Bashi added. The report claims that for the last two decades and especially since 2007, Israel has kept the Gaza Strip mostly closed, preventing Palestinians from leaving Gaza to pursue educational and professional opportunities, family visits and reunification, and medical care, save on an exceptional basis. 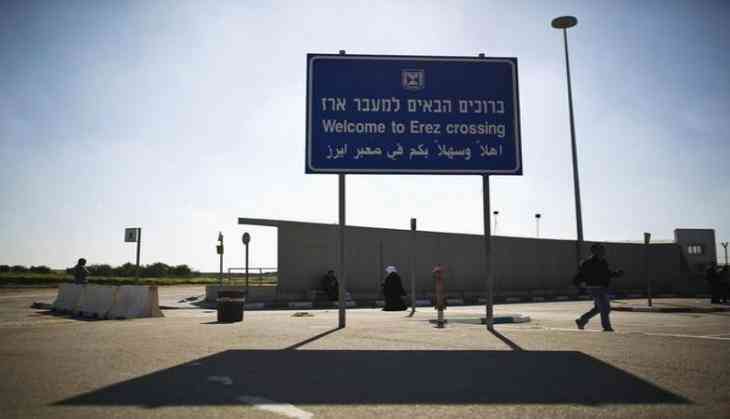 The restrictions imposed by Egypt on its border with Gaza have significantly contributed to this de facto closure. The situation worsened after the Hamas authorities in Gaza began significantly tightening restrictions on passage between Gaza and Israel post March 26, following the assassination of a senior militant that Hamas blames on Israel. Hamas says it wants to stop the killers from fleeing Gaza. The Hamas authorities are blocking nearly all travel out of Gaza, unless it is for medical care or to visit relatives in Israeli prisons. Males between the ages of 15 and 45 are being blocked from traveling altogether. It adds that the Hamas authorities in Gaza do not adequately protect human rights workers from retribution and in some cases arrest and harass those who criticize Hamas or the activities of armed groups in Gaza. The inability to get foreign human rights workers into and out of Gaza, therefore, also limits the ability of human rights groups to document Palestinian abuses inside Gaza, because of safety concerns for local staff. In its response to Human Rights Watch, the Israeli military attorney general's office (MAG) stated it attributes "great importance" to its "extensive and daily dialogue" with human rights organizations, whose reporting, it said, provides important input into its decisions about whether to open a criminal investigation or how to obtain a fuller picture in existing investigations. However, the MAG also criticized documentation by human rights organizations as suffering from "methodological, factual and legal flaws" and, in some cases, "a clear bias." The MAG called the travel restrictions on human rights workers "unavoidable . due to weighty security and political considerations."